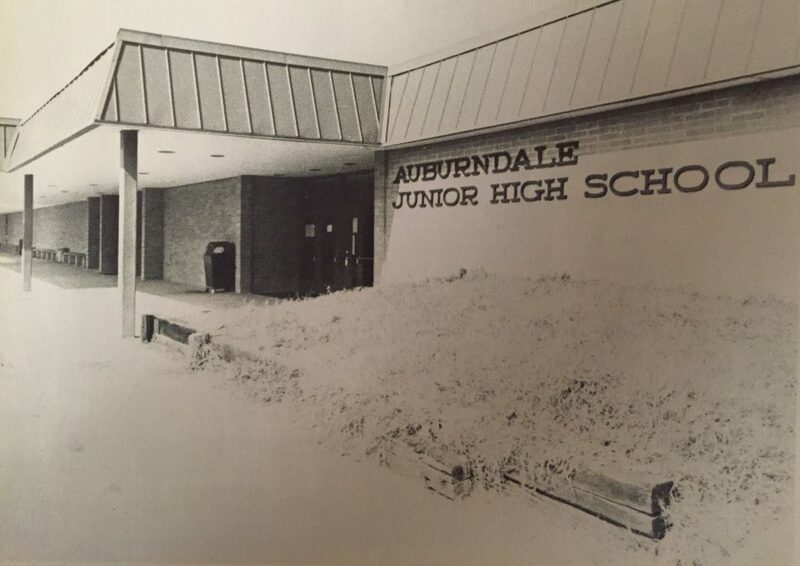 The “North Campus” building was finished in the spring of 1973 and opened in the fall of that year as Auburndale Junior High School. It was built to house 1000 students in grades 8 and 9, as the old Junior High School nearby was over capacity. It would continue as a separate school until it was absorbed by the AHS campus in 1989, bringing freshmen into AHS. The original building as it was laid out contained a courtyard in the center behind the media center, an auditorium with second story in the back, cafeteria with kitchen, industrial arts and home economics aras, science labs, and PE locker rooms. Prior to it becoming part of AHS, the closet for the first science lab (N1) was torn out to create an extension for a new Industrial Arts suite in 1985. The building is named the C.L. Smiley building for Cliff Smiley, longtime principal of AJHS. 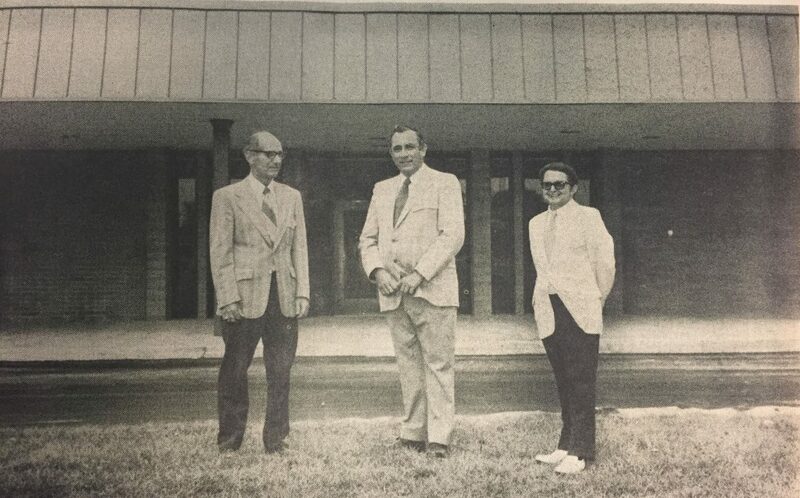 The Auburndale Star did a writeup on the new building on May 30, 1973: “The new building is modern in every detail. It is completely air conditioned, is carpeted throughout and has indirect lighting. The public address system is throughout the facility and the acoustics are reported to be excellent…. The very latest facilities for teaching are incorporated including a teaching auditorium with a stage equipped with rolling panels. It will seat 404 students but the walls can be rolled away to accommodate many more if the need arises….The library is large and also very modern. The building will have four complete science labs. It also has an excellent band facility. Administration offices are spacious and well appointed. Lockers have already been installed in the hallways for the convenience of the students.” It was a model attempt by a school in Polk County to house an entire campus within one building. In 1998, the culinary arts area was revamped. The cafeteria was removed and converted into classes, but its kitchen remained for AHS’ culinary arts program. This was followed by the old locker rooms (replaced with classrooms N46-N52) and courtyard area (replaced with computer labs N16-N18) in 2004. The auditorium and band room were next to go, being replaced with more rooms (N59-N62) in 2007. When the building became part of the high school, its front office served as the attendance office for AHS. In 2010, its office and media center were torn out, replaced with a new, state-of-the-art media center, college and career center, and computer labs. The Lil’ Hounds classroom was renovated during that year as well, with a fenced-in play area added behind the building. The front of the building, formerly home to a few sets of doors and lots of brick, was replaced with a wall of windows to the media center during the construction. The completed parking lot side of the building in May 1973. A staff member 'directs traffic' in front of the building, 1981. 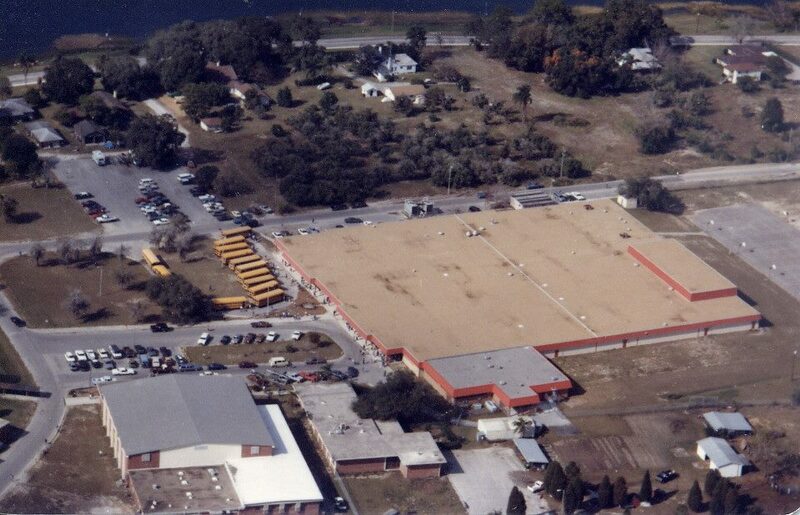 Note the bus loop where the present day AHS auditorium is located. A group of students behind the building, 1983. Present day Lil' Hounds would be at left.